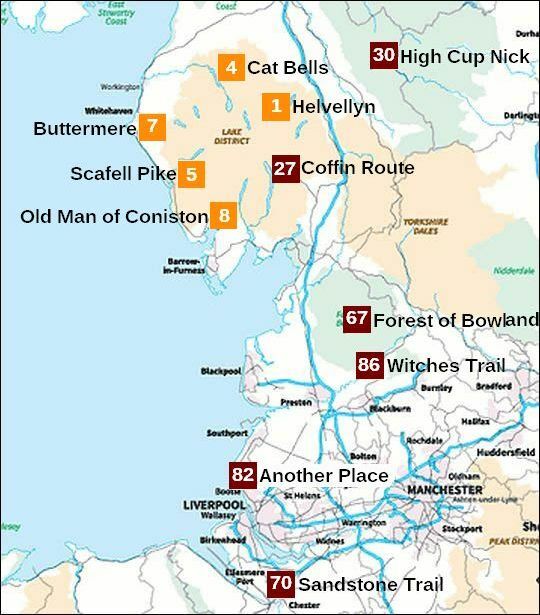 • 4 betekent: de wandeling eindigde op de 4de plaats in Britain's Favourite Walks: Top 100. • Klik je op dit nummer 4 in de kaart, dan word je doorverbonden met kader 4 hieronder. • Alle wandelingen uit de Top 10 hebben een oranje nummer gekregen. • De North Pennines AONB zit alleen met het westelijke deel in de regio North West England. .. Yorkshire & The Humber. bit scary, but great fun. in a 2017 ITV poll. quires the use of hands in a few places – and a good head for heights! Striding Edge all the way to Helvellyn’s vast summit plateau. ...................... to negotiate a steep, rocky section of path. the summit via Swirral Edge – another steep rocky scramble that feels intimidating when you first tiptoe towards it. 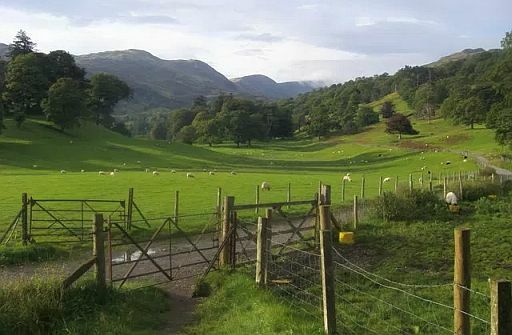 then follow the obvious path down the valley to Glenridding. 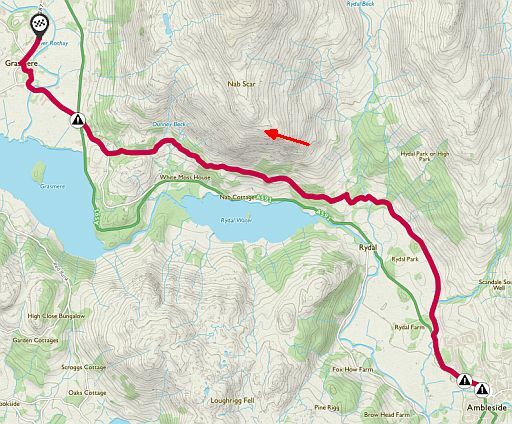 • Start / finish: Glenridding. 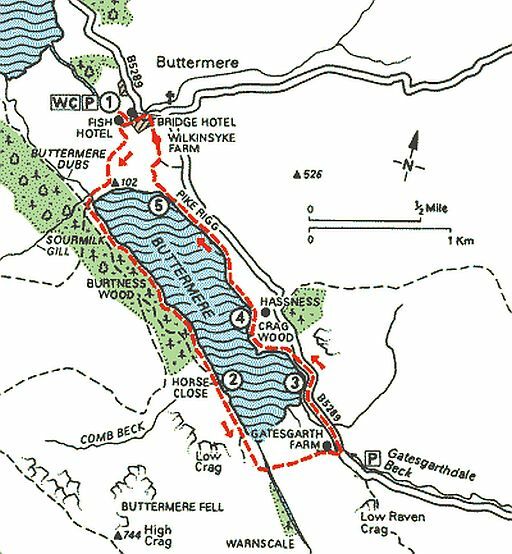 Noord-Engeland (Rother Wandelgids) Tour 58 gaat door Grisedale. Dan is het terecht géén Top-Tour. Doe dat daarom ook niet. Ga liever via Striding Edge en Swirral Edge, zie kaartje hieronder. 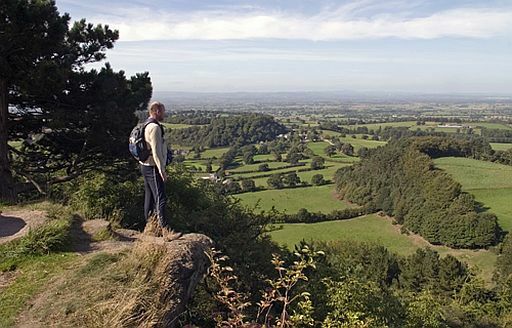 Britain's favourite walks TOP 100. 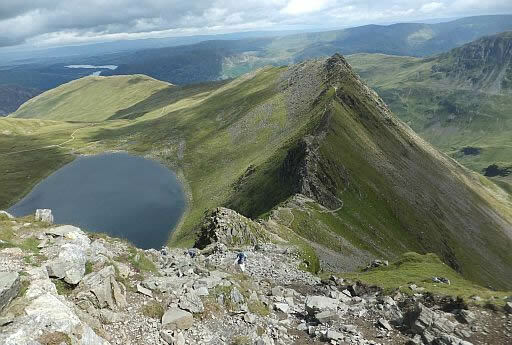 • Helvellyn is without a doubt one of the most popular mountains in the Lake District. .. stands head a shoulders above the rest, and that is via Striding Edge. .. and down climbing 'The Chimney', Striding Edge has it all. 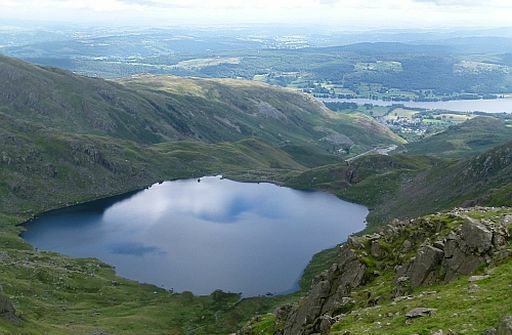 .. To the left of Hellvellyn is corrie lake Red Tarn. ..... (zie lijst blz. 9 ). 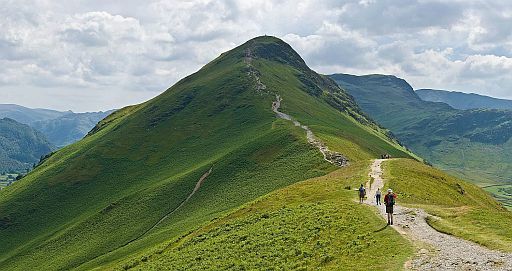 families to experienced fell walkers. a short rocky scramble near the top. their children to hill walking. North-Western Fells to your right. 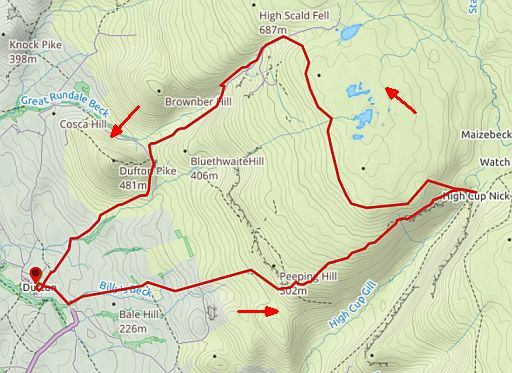 an easy but spectacular footpath back to your start point. De rout is slechts kort en middelzwaar (zie kaartje en hoogteprofiel). Je blijft overal ten westen van het Derwent Water. zwaarder dan die van het kaartje hier onderaan. 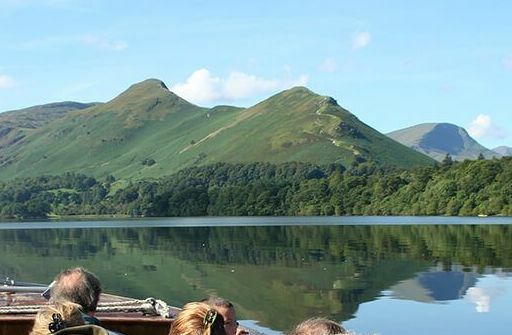 • Cat Bells gezien vanaf Derwent Water. 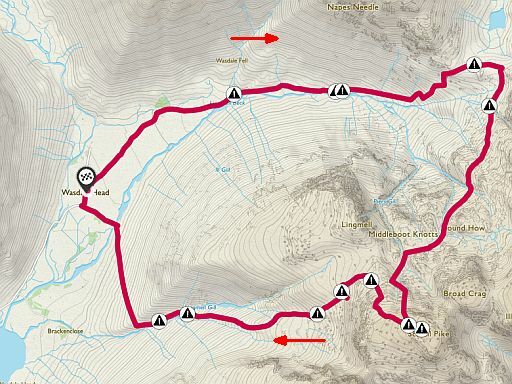 • The classic route is over the bumps of the North Ridge. England’s highest mountain, and possibly also its best. to really get to know the peak. often face strong winds, heavy rain and low visibility. 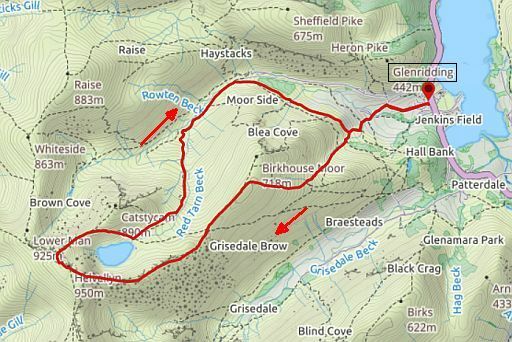 Plan your route carefully and always carry suitable hill walking gear. the summit is a tough challenge for any hill walker. 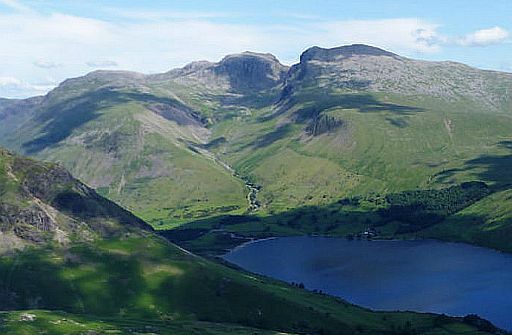 iconic peak of Great Gable and the rocky bulk of the Scafell range. for the final push to the top. way out to the Irish Sea. start point in the Wasdale valley. 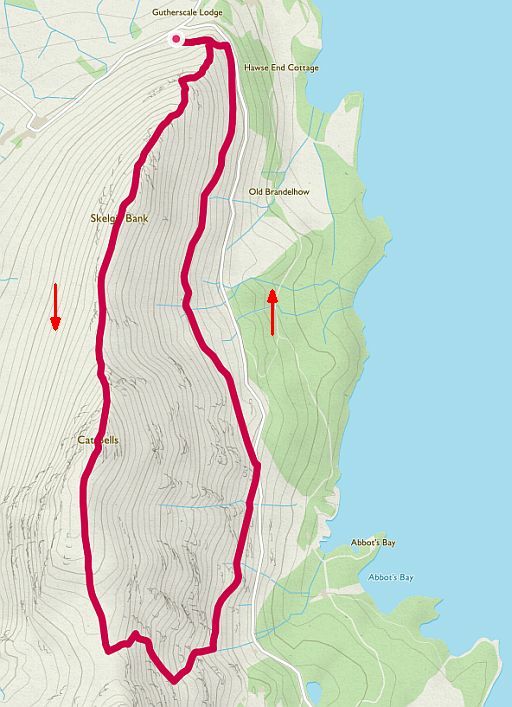 • Start / finish: Wasdale Head. wijzers van de klok in en heeft ook een wat langere lus. Daardoor duurt haar Top-Tour wat langer en is ze nog wat zwaarder. 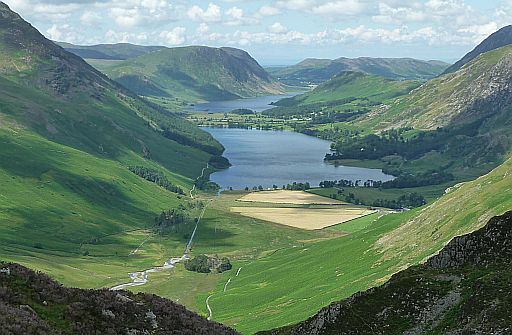 Buttermere is a wonderful walk for all ages and abilities. The walk has an adventurous feel from start to finish. skim stones on the lake. 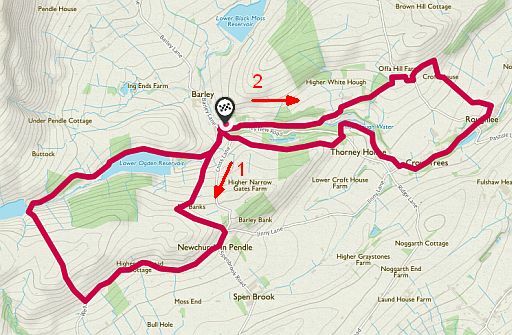 • Start / finish: Buttermere. • Buttermere en daarachter Crummock Water gezien vanaf Haystacks. beautiful fell walk. It’s always busy, but that’s because it’s so good! prepared for high winds, heavy rain and low visibility. your ascent – a great spot for a wild swim on a hot day. climbing to the fine summit of Wetherlam. water speed record in 1967. 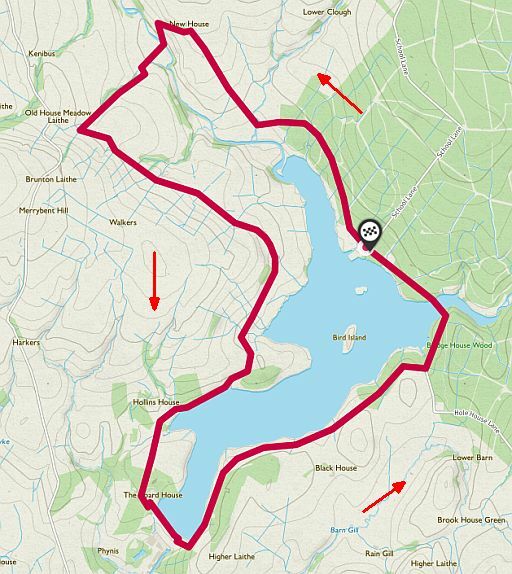 • Start / finish: Coniston. langere lus. Daardoor duurt haar Tour langer en is ze ook zwaarder. 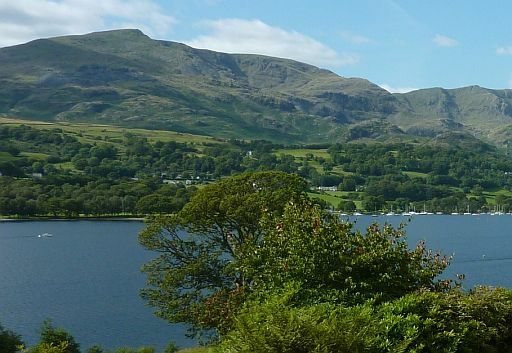 • Kijkend over het Coniston Water naar de Old Man of Coniston. • Levers Water with Coniston Water in the background. their final resting place at St Oswald’s Church in Grasmere. the lakes of Rydal Water and Grasmere. village of Grasmere with its pubs, cafes, shops and famous gingerbread. those views from the opposite direction? De noordelijke helft van die lus is de 'Coffin Route'. 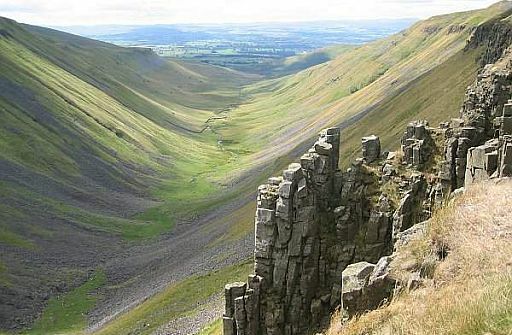 they don’t call it the Grand Canyon of the Pennines for nothing ! one of those places that has to be seen to be believed. by a giant ice cream scoop. from a layer of tough grey-blue dolerite, which gives the whole place a dramatic and almost otherworldly feel. jumble of rocks that spill down to the valley floor. back to your start point. • Start / finish: Dufton. 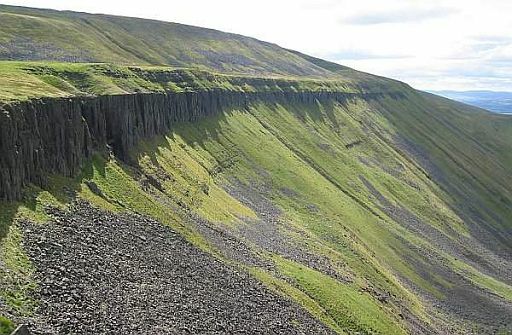 • The southern escarpment (= steilrand) of High Cup Nick. 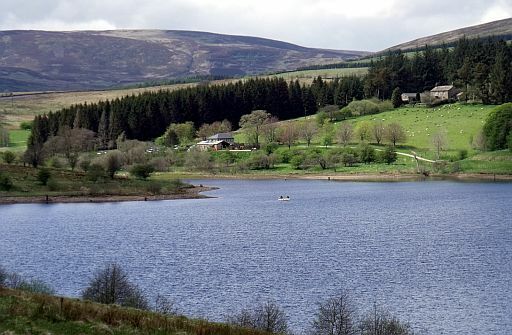 miles of moorland, lowland, rivers and villages. passes through the Gisburn Forest. • Start / finish: Stocks Reservoir Car Park. Moderate. Some easy bits, but also steeper slopes in places. Most of this is on roads and wider trails. varying in difficulty and length but all offer spectacular views. the foreshore, stretching almost one kilometre out to sea. Each figure is 189 cm tall and weighs around 650 kg. 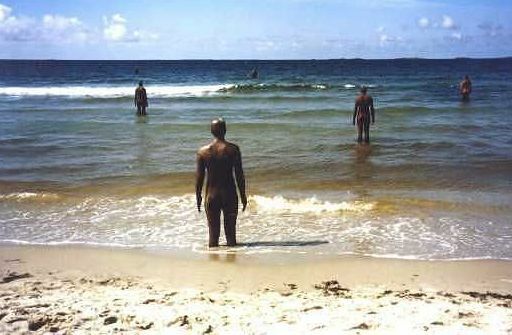 As the tides ebb and flow, the figures are, respectively, revealed and submerged by the sea. The starting point for this walk is the nearby Waterloo station. 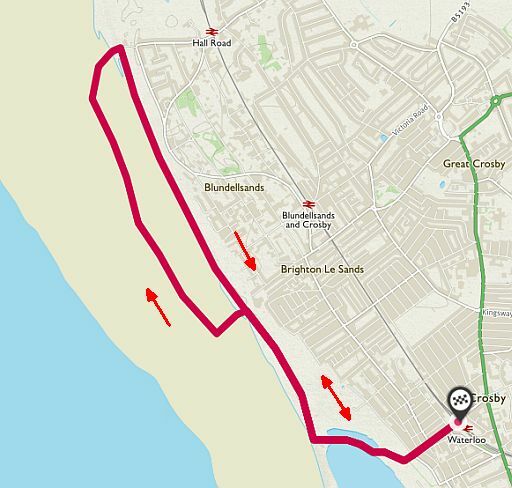 Your exact route will change depending on the tide. Pendle Hill have a dark history of intrigue and witchcraft. 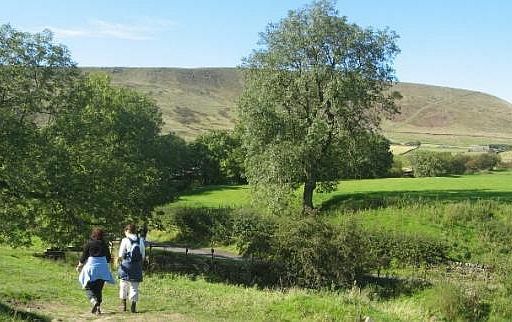 • Walking up Pendle Hill. 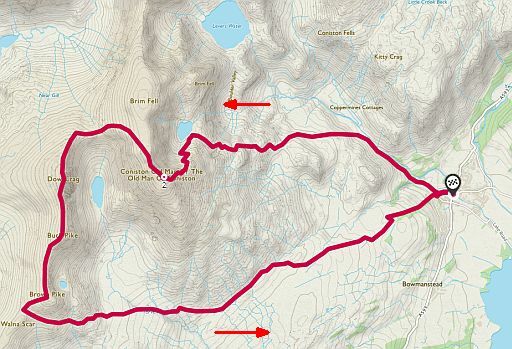 • First western loop ( 6 km), than eastern loop ( 5 km).